A few years ago, Adam Braun gave up a job in high finance and said goodbye to the land of men in fancy suits because of one of those random moments that tends to nudge a person’s life down the road less traveled. Braun, in his mid-20s at the time, wanted to temporarily hop off the spinning hamster wheel of his daily grind, so he put a promising business and finance career path on hold and launched a personal expedition to go overseas. He joined a program called Semester at Sea, and what happened next set him on the course to becoming the renowned philanthropist he is today. 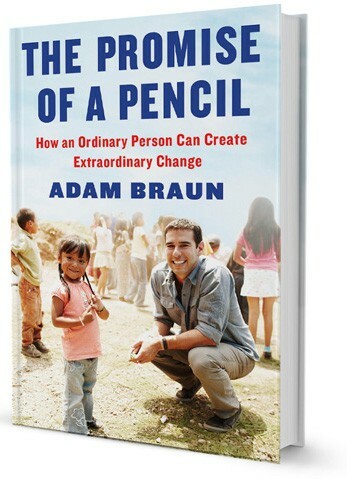 One of his greatest endeavors is founding a nonprofit that’s built more than 200 schools around the world, which he describes in his new book called The Promise of a Pencil that lays out his extraordinary life and opens with a starry-eyed promise. While visiting the Agra Fort, in view of the Taj Mahal, Braun pulled away from his traveling companions and approached a boy he’d seen begging. The response the boy gave Braun to his question especially floored him: most of all, the boy said, he wanted “a pencil.” Braun happened to have a No. 2 yellow pencil in his backpack. He took it out and gave it to the boy. And thus was Braun’s epiphany. 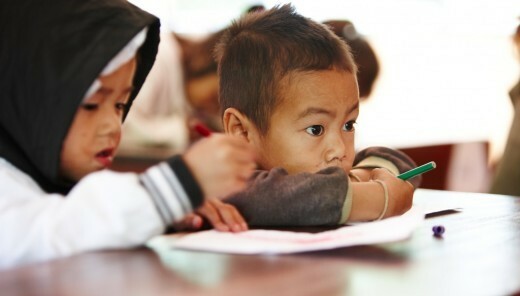 Making a difference didn’t have to entail writing a large check to someone, he thought. This is what he would do, right here. 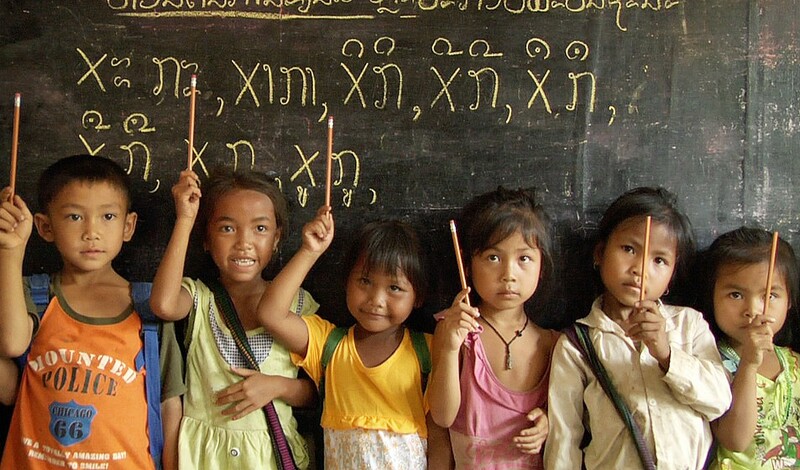 He would give children he encountered on his travels pencils and pens. Braun eventually headed home to New York. His life settled back into the familiar rhythm of predictability. One night, while attending a performance of the New York Philharmonic, he closed his eyes and listened to the pianist expertly perform a piece by Rachmaninoff, and he was moved. “I thought, if I could feel as strongly about any one thing in the world as this man feels about his piano, I know that I would be fulfilled,” Braun writes. In the hopes of inspiring others to do that, he wrote his down in the form of a book.